Github is the online service where the Joomla code is hosted and maintained. Here is the place where the updates are born, reviewed and tested, time before they are released. Did you find a bug in Joomla that you want to fix? In this post, I'll share a basic guide to help you submit your code to the Joomla CMS Project by using Github. Let's start! It is important to be familiar with Github; you don't need to be an expert, though. It is necessary to create a copy of the Joomla CMS repository first. 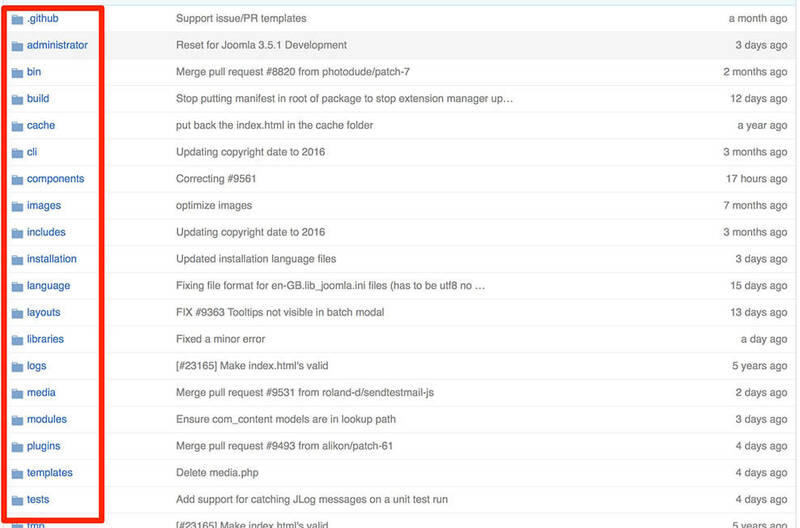 Go to the Joomla CMS repository. Click Fork button, and wait until the process finish. 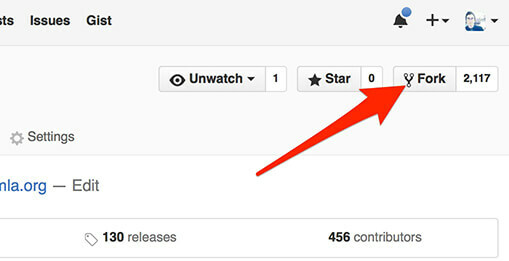 A copy of the Joomla core will be available as a new repository through your own Github account. My username is htmgarcia, so my repository is available at github.com/htmgarcia/joomla-cms. Find “joomla-cms” - This is your copy of Joomla's code. 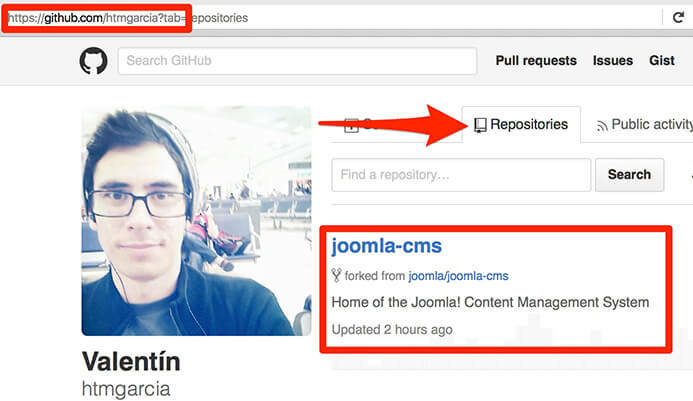 To confirm you’re indeed inside your copy of Joomla’s code (and not in the original), look for the details on top where it mention: your-github-username/joomla-cms, and below shows the original repository location. Feel free to edit them based on the contribution you want to make, such as improvements, bug fixes, design suggestions, etc. My example will be dummy; the purpose of this "improvement" is to illustrate the next steps. I navigate through templates / protostar / css / because I want to edit template.css. Click Edit - the pencil icon. Once you finish, scroll down and click Commit changes button. An update message will confirm the file has been updated. At this point, you modified the code in your own copy of Joomla. The next step is to do a pull request, which means submit your changes from your copy of Joomla to the original repository. 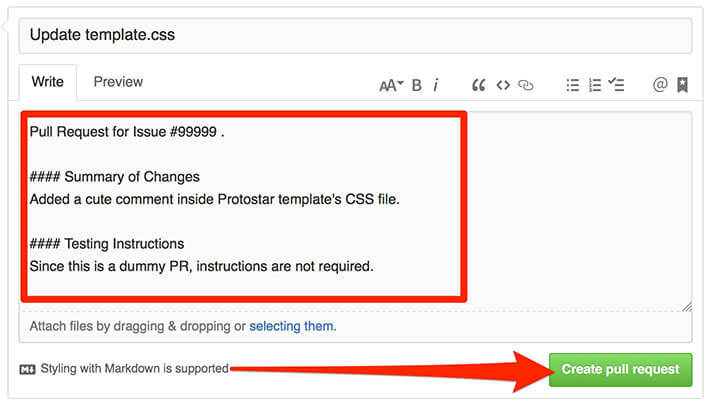 The base fork should be joomla/joomla-cms with “staging” as base. Head fork should be your-github-username/joomla-cms with “staging” selected in compare box. If everything is correct you can click Create pull request. Pull request for issue - If your changes are intended to solve an existing issue from this list, type the number here. Write a brief summary of your changes. Provide detailed instructions to test your improvements. Click Create pull request button when you’re done. Joomla volunteers from the community will check your code, test and based on the results they will decide if worth to merge your improvements into the master branch. 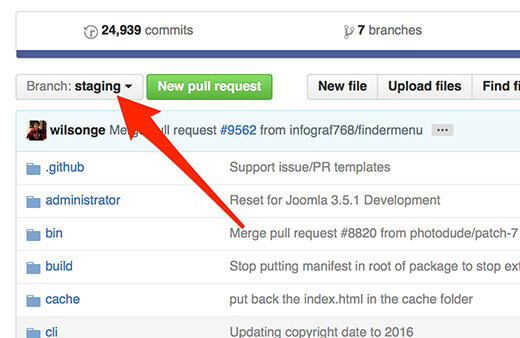 Your pull request from previous step will be publicly available from here. Pay attention during the next hours and/or days to the discussion that your pull request will generate. It is important to be part of the conversation until your contribution is accepted or not as part of the Joomla core. If you want to know more about contributing to Joomla, read Filing bugs and issues document.